The automotive industry is in a constant state of change. 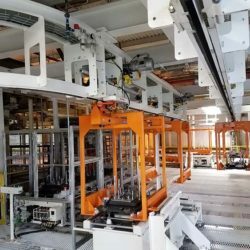 Always adding new models or modifying existing ones, adjusting for new contracts or shifts in production requirements, automotive suppliers need a conveyor system that can keep up. Easily add workstations to increase production and cycle time. 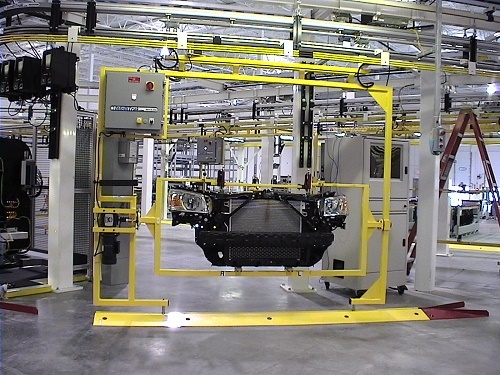 Forward/Reverse capabilities improve the efficiency of the assembly process and save space. Zone control, enabled by VFDs and gear box ratio changes, provide varying speeds and speed changes between workstations and high transfer speeds around corners. No chain means a clean work environment and a clean finished product. Flexibility to increase production and improve cycle time. Tier 1 Automotive supplier adds new vehicle line, expands system and saves money. Complex assembly made easy, increasing TAKT time and competitive advantage. A more efficient system with a smaller footprint. 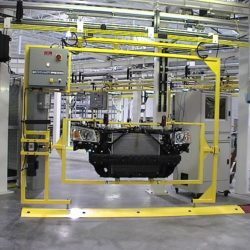 The inherent flexibility of the IntelliTrak 500 Series Overhead Conveyor is what sold this automotive manufacturer. IntelliTrak’s friction drive system (no chains) and modular support structure (bolted, not welded) can be easily reconfigured at any point in time. 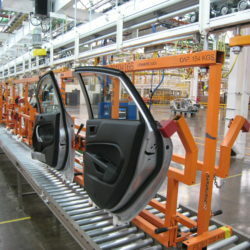 In fact, the system has already been modified several times to add workstations to increase production and cycle time. 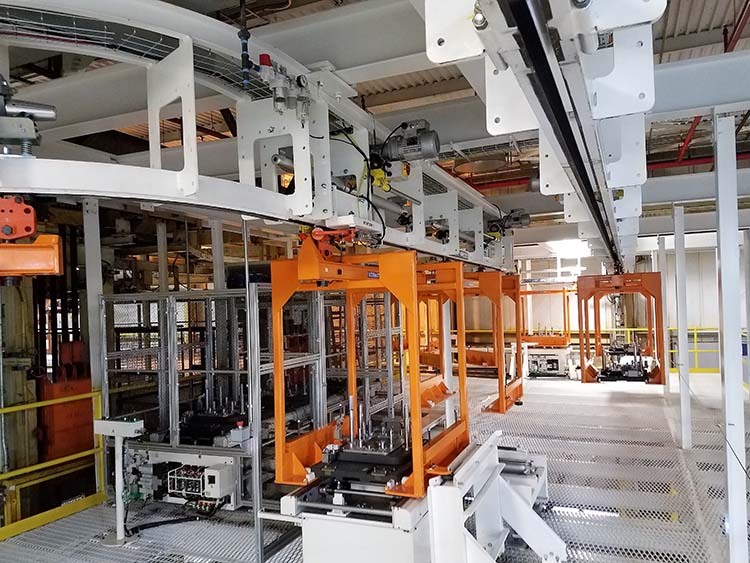 In addition, the forward/reverse capabilities improved the efficiency of the assembly process and saved valuable floor space. Repeat customer, Tier 1 Automotive supplier, adds new vehicle line, expands system and saves money. 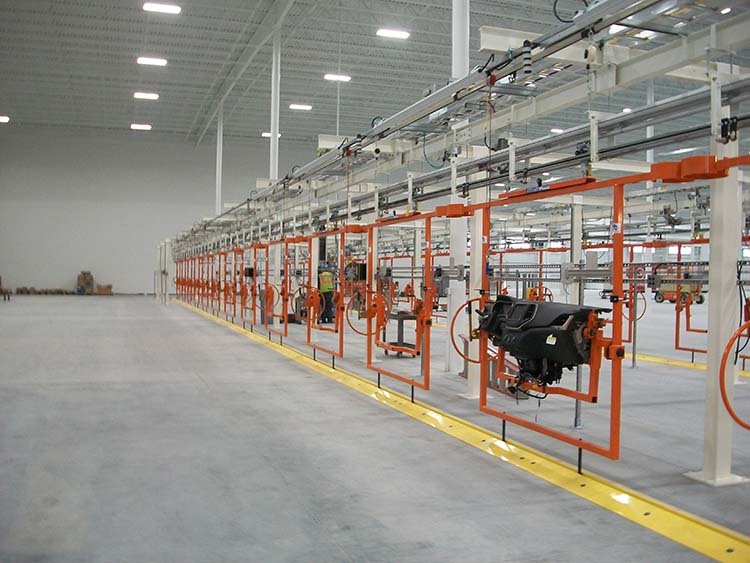 In 2006, IntelliTrak installed an overhead conveyor system in the customer’s new building. When they were awarded a new contract in 2015, they had a choice: purchase a new conveyor system or modify the existing one. 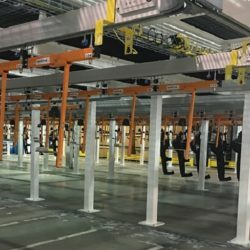 Instead of having to build an entirely new system (as they would have had to do with a traditional power and free chain system), IntelliTrak was able to remove part of the old system, add new conveyor onto the old system, reuse some of the existing system, and save the customer thousands of dollars in both equipment and downtime. 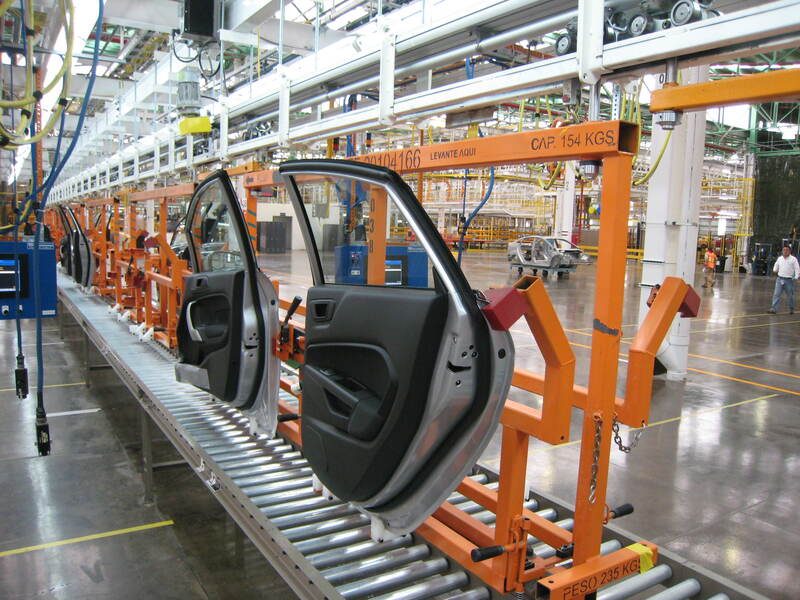 A supplier of automotive interiors needed an overhead conveyor system for their new facility. 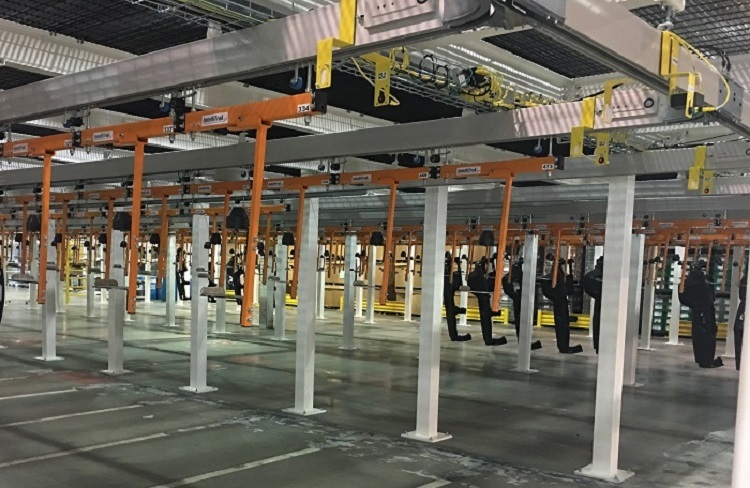 IntelliTrak designed, manufactured and installed a 500 Series Overhead Conveyor System that included 41 assembly workstations with 4 test zones and level 2 software controls to manage workstations. 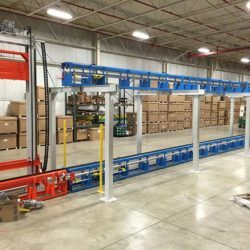 The new overhead conveyor not only freed up floor space, but gave them a real competitive advantage by allowing them to meet an extremely fast TAKT time of 75 jobs per hour. IntelliTrak designed, manufactured and installed a custom inverted (floor-mounted) conveyor with an over/under design to make the most of limited floor space. The system consisted of 5 assembly stations at floor level, with cantilever lifts on each end for elevated return of empty carriers. A more efficient system, with a smaller footprint. IntelliTrak 150 Series—the ideal solution for accumulation, staging and product transfer. 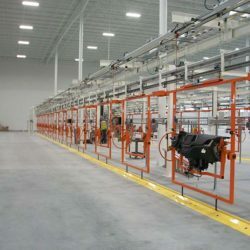 A supplier of automotive interiors needed a conveyor system that would store 12 hours of production, accumulate efficiently, handle left-handed and right-handed IP assemblies, with a limited footprint (keeping walkways between lanes), while meeting a 45 second TAKT time. The IntelliTrak 150 Series Overhead Conveyor, with a max load of 150 lbs. and 100+ fpm, was tailor-made for this application. 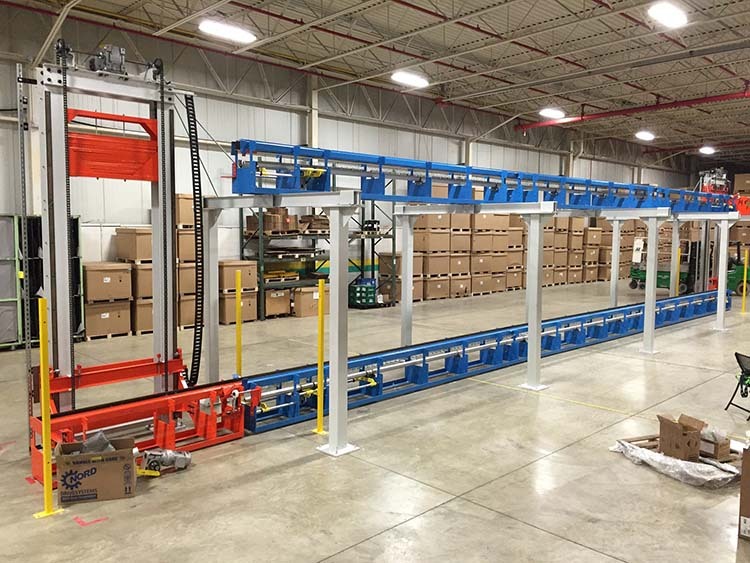 IntelliTrak designed, manufactured and installed approximately 3,000 ft. of conveyor, a mezzanine, 2 levels of storage, 693 carriers, with a line speed of 45 ft./min., and incline/decline speed at 60 ft./min.